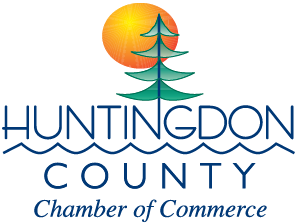 The Huntingdon County Chamber of Commerce (HCCC) is an organization representing 375 members dedicated to business and community improvement in and around Huntingdon County. The primary focus of the Chamber is to support the business community, thus our tag line “Supporting Your Business is Our Business.” We provide support to businesses by offering networking and advertising opportunities, cost savings and workforce development. The Chamber is the voice of the Huntingdon County business community, and monitors and relays legislative concerns to our legislators, the Pennsylvania Chamber of Business and Industry and the US Chamber of Commerce. HCCC also strives to keep members updated on legislation and other things that may assist or affect their businesses. The Chamber supports an office and two full-time staff and is governed by a twenty-one member Board of Directors. The Chamber has nine standing committees, nine subcommittees and three affiliation committees, with over 100 volunteers serving on these committees. The Chamber was incorporated in 1983 as Huntingdon Revitalization and Development (HRDI). It had sponsored a long-running successful Main Street Program. In 1998 HRDI reorganized to become the Greater Huntingdon Chamber of Commerce. 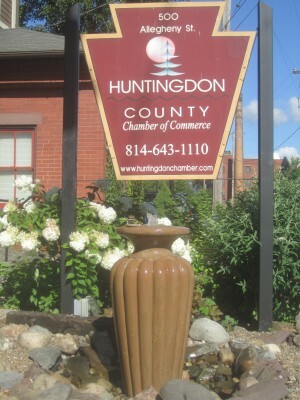 In November 2005, the Chamber changed it’s name to the Huntingdon County Chamber of Commerce. We will be the leading voice and best resource for connecting businesses, and offering benefits and programs to strengthen business and the community. Interested in learning more about our committees? Contact the Chamber at mail@huntingdonchamber.com.